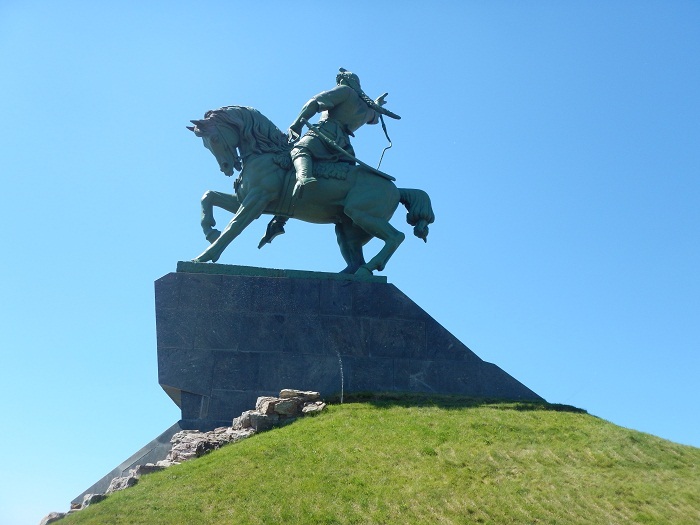 The Salavat Yulaev Monument is a prominent monument which serves as a great landmark of the capital city of Ufa, in the Republic of Bashkortostan, which is a federal subject of the Russian Federation. 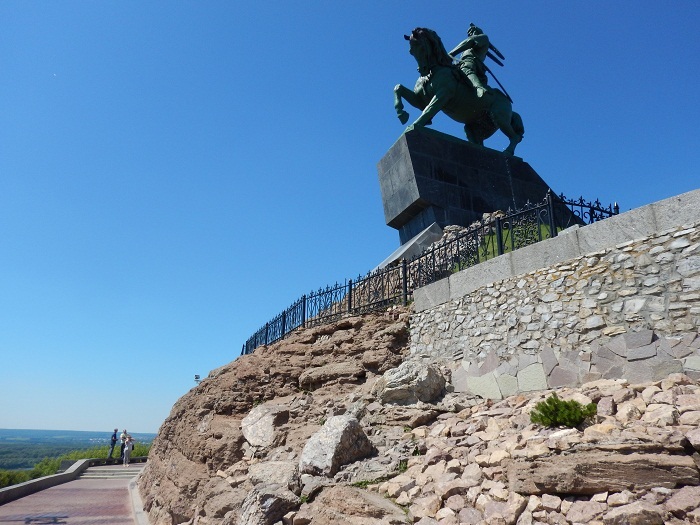 As the monument is also represented to the coat of arms of Baskorostan, the monument is made from bronze and granite, where the granite pedestal is some 5 meters (16 feet) high, while the main feature, the statue itself is additional 10 meters (33 feet). 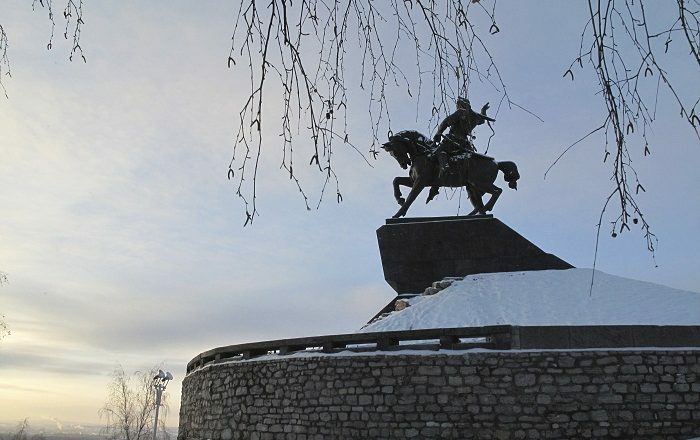 As the Bashkir national hero and great poet is well known around the federal subject, he is also famous for his participation as one of the leaders in the Pugachev’s Rebellion that was also known as the Peasant War which occurred between 1773 and 1775. The poetry he created became legendary as it called for fighting against oppressors and celebrated the beauty of his native land. 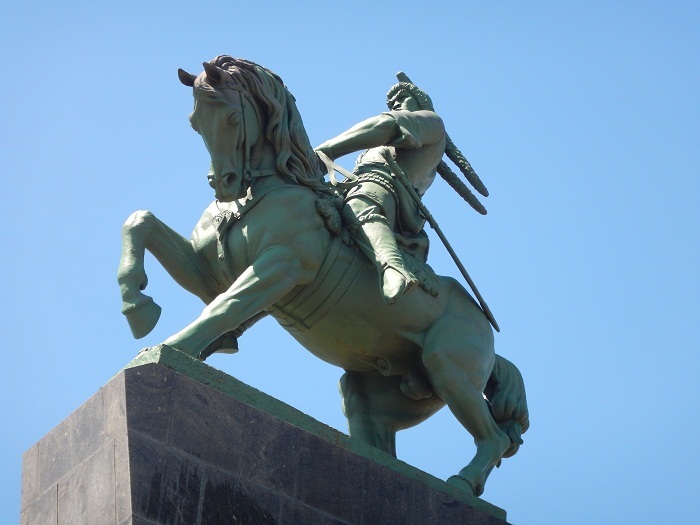 Nonetheless, he was arrested in 1774 and sent to hard labor in Estonia, where he died in 1800. 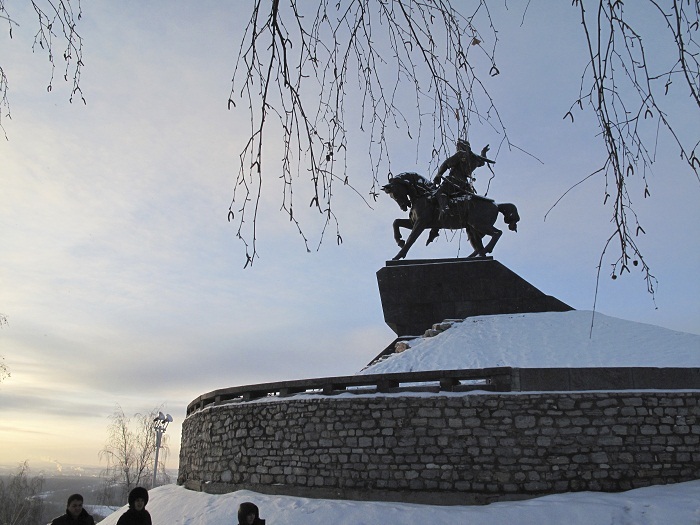 The monument is the creation of the Soviet architect Ismagil Gaynutdinov and Soviet sculptor Soslanbek Tavasiev, where it was unveiled on 17 November 1967. 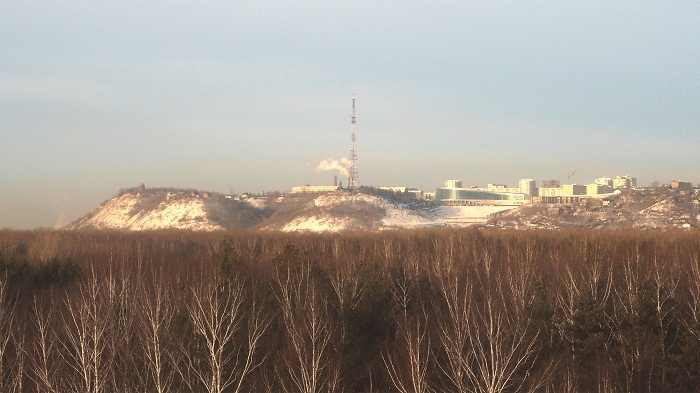 Nowadays, the monument overlooks Ufa and the Belaya River from where the monument looks even more grandiose than it is up close. 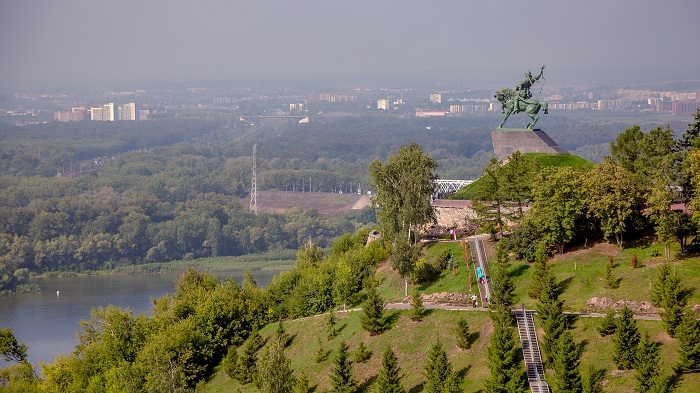 All in all, a perfect place for panoramic views of the entire area, and getting to know more the mysterious Bashkorostan.